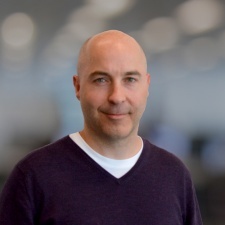 In January, the company behind lo-fi game engine GameMaker Studio YoYo Games appointed a new general manager in Stuart Poole (pictured). The new boss has worked at the company since 2010 when he joined as head of production and partnerships, a role he held until his recent promotion. How has the last year been for YoYo? In a word - transitional. The highlight of the year was undoubtedly the Nintendo Switch export release in September and seeing over 25 games that were made with GameMaker being released on the platform. Closely following that has been the growth of STEM education, particularly in the US, which now accounts for over 20 per cent of our global revenue. I think our position in the game engine market has supported this growth and we’re primarily seen as a 'maker of game makers'. We’ve also seen a number of challenges over 2018. GameMaker Studio 2 was an ambitious re-imagining of GameMaker, which was long overdue, and while it’s performance for the vast majority of our users has been very good, some of the advanced features that are relied upon by our professionals developers have required improvement and updating. Once the Nintendo Switch export was completed, it’s been a case focusing on the stability of these more advanced capabilities, and suppressing our natural enthusiasm for new features for a few months. What lessons have you taken away from time working on GameMaker Studio 2? Internally, the twin pillars of detailed planning and company-wide communication are essential. It’s part of my DNA, and whenever problems arise, the root cause is invariably found in one of these. We’re a comparatively small team, and I think that can sometimes lead to communication being taken as a given, but even in small teams, you have to work hard at it. In terms of the product, the importance of prioritisation and having an end goal in mind have been key. I think I speak for everyone who works on GameMaker when I say that we all get super excited about making the engine do cool, new things. But customer satisfaction comes from a product that can be relied upon, and developing it with your different types of customers in mind. How did your previous roles prepare you for the GM position? The operative word is 'general', both in the obvious breadth of the role, but also when it comes to being in the role of a 'General', directing resources. I’ve had a huge amount of exposure to all aspects of making games and working in fast-paced environments, which has given me an appreciation of the development and commercial aspects of the business. In those roles, I have also managed large teams in such a way that they are given responsibility and room. I’m confident this will stand me in good stead as we usher in YoYo Games’ next phase of business development. What do you feel GM's position in the market is? It’s often thought that we have two types of user: complete beginners and experts. I’ve never fully subscribed to that view. When talking to our users, the one thing that unites them is ambition. New users select GameMaker because they want to learn a game engine that can carry them through to becoming a professional. Our experienced users are always bursting with ideas for games and they just want to make them quickly and easily with a tool that has the functionality to support their creativity. Given that the indie scene has, somewhat, moved away from its 8-bit pixels and chiptunes roots to be more 'ambitious', how is GM planning on evolving? We want to better support the making of beautiful 2D games, with new functionality that gives easier control of graphics, particularly lighting, and by making the tool much more accessible and usable for designers, so that they can more easily collaborate with coders on games. This has been the underpinning objective for our development of Sequences, which we first revealed last August. How would you say your new publishing division is coming along? How long until we start to hear more about what that team is up to? I’m very hopeful that we’ll have some concrete announcements to make imminently, but the nature of publishing is that you need to be involved in the early stages of the development cycle to support the making of great games. This is where our strength lies, so it should come as no surprise that we’re taking a long-term view. What's your ambition for YoYo and GameMaker Studio 2 in the coming year? To grow the business so that we’re better able to support the development of amazing 2D games by anyone with ambition. You can get the latest news and analysis about the business of PC games on Facebook, Twitter and Linkedin. You can also sign up for our newsletter right here. PC Connects SEATTLE is on May 13-14, 2019. Book now! Alex Calvin launched PCGamesInsider.biz in August 2017 and has been its editor since. Prior to this, he was deputy editor at UK based games trade paper MCV and content editor for marketing and events for London Games Festival 2017. His work has also appeared in Eurogamer, The Observer, Kotaku UK, Esquire UK and Develop.